Out of the Barbican from the North West Blake Tower exit, up Goswell Road past our precious City Hardware, turn right into Old Street and just over the road on the North side is the new Fare Bar/Restaurant which opened in November last year. 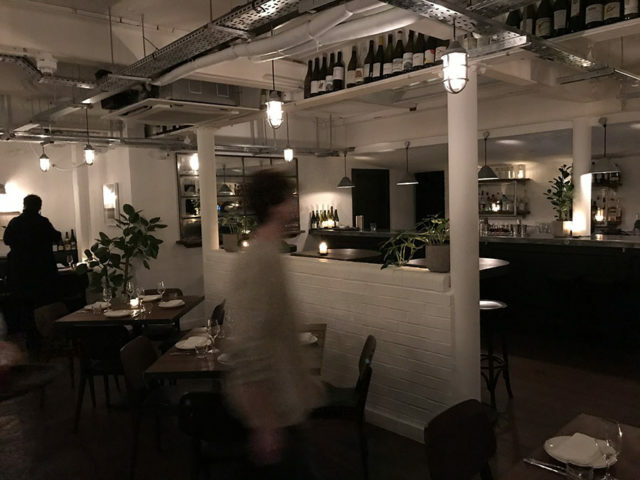 This is the latest creation from Michael Sager and Marcis Dzelzainis, who created the popular Bethnal Green Sager + Wilde, specialising in lesser known wines, and also revamped the Bassoon Bar at the Corinthia. The massive conservatory windows try and convince you that this is a small bar, but it also has a decent sized downstairs restaurant and that is where we are heading for tonight’s taste test, but not before we take in a couple of the ‘on tap’ cocktails in the main bar. Fare have an efficient operation going on with a selection of their most popular cocktails; they are prepped in a high-tech industrial micro-unit near Bethnal green in eco-friendly collapsible barrels and regularly shipped into the City. This process succeeds in the major areas of consistency and price, so it’s all good, and so are the flavours of our Rum + Coconut and Tequila + Sour Cherry cocktails; so good that we beg for a second glass of each. The ‘on tap’ cocktails upstairs start at around £5, which is as good a reason alone to pay them a visit. Décor upstairs is industrial with tons of tea-light candles, and this is not just a bar priding itself on 27 bespoke taps and a 250-strong Sager + Wilde curated wine list sourced directly from boutique winemakers across the world; it serves pizza non-stop and is open for breakfast from 8am, light meals and pizza through the day to late night snacks/dining/drinks until 10pm. Testament to its comfortable open door, no stress vibe, the bar welcomed laptop workers, mums with babies and buggies, and even a couple of dog walkers while we were there, and this was at about 6.30pm; that was a fairly eclectic mix of clientele and all were very warmly welcomed. The pizza and small plates on offer upstairs were tempting (and very reasonably priced on the menu) but we headed down to the main restaurant not a moment too soon, because every table was taken by about 7.30pm. Initially the full restaurant menu was not available in the upstairs bar area but it is now, There is also a bigger emphasis on pizzas which have proved very popular. Plenty of hooks and train carriage type luggage racks are a nice touch. The décor is functional and the light quite dim, but bright enough when combined with the white painted walls and conservatory greenery. There is also a small bar area downstairs, so the venue is very flexible. Plentiful and free still and sparkling water was another tick in the plus column, and we chose glasses of Muscadet sur Lie and a Spanish Tempranillo to have with the meal. There is quite a comprehensive listing of boutique wines by the bottle from all around the world, but these looked a little on the pricey side. 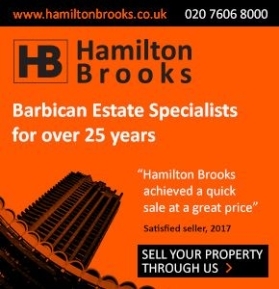 However there is a good selection of wines by the glass available at reasonable prices for the lighter drinkers among us, or the more cost conscious. The menu is dynamic but there are a few popular and permanent dishes. We started with the Sweetbreads and Mussels, with some gorgeous Sourdough bread to soak up the shellfish garlic sauce. 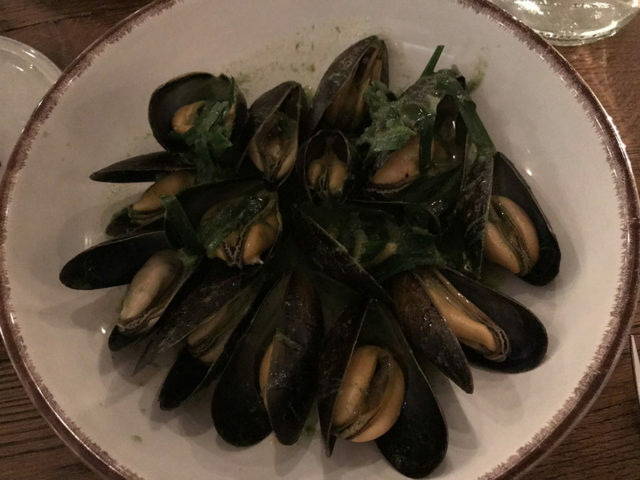 The Mussels and sauce were beautiful; the meat light, almost fluffy and very tender. 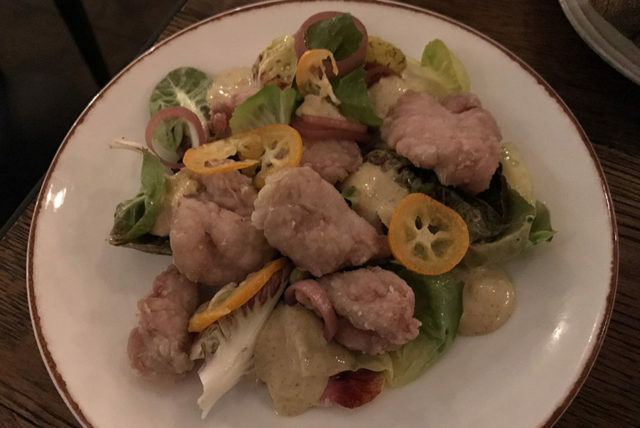 My partner for the evening chose the Sweetbreads because they wouldn’t be my choice, but I did sample and they were very good. They had a mild flavour, tender and creamy and reminded me of when I had brains (by accident) in Madrid. 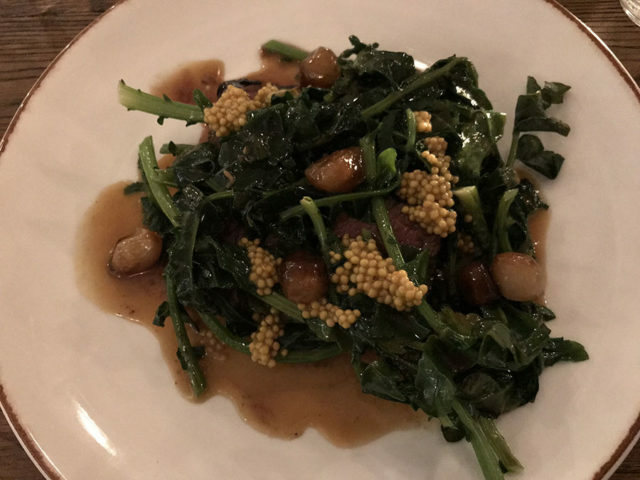 I must mention at this point that our waitress was very knowledgeable and helpful when we had questions about both the dishes and the wines; I don’t know why but I wasn’t expecting that the staff here would be experts, so I clearly underestimated on that. For the main dishes, I was tempted to go for the vegetarian options (apparently, very popular) but I plumped for the beef dish which piqued our interest. My partner chose the fish which was Hake today. Under the delicious greens and sweetness of the onions and sauce hid 4 very decent slices of steak. The Denver cut is off the shoulder and can be tough and fibrous like the abdominal Flank. In this dish, the steak had been cooked well to limit this, but it was inevitably not a Filet, as the price also testifies. I enjoyed it because I don’t mind a slight chew and the flavours were outstanding on the plate as a whole. 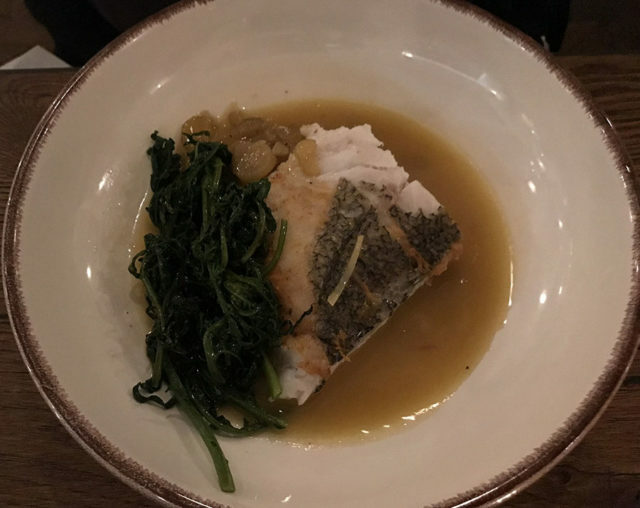 The Hake was very tasty with a mild and slightly sweet flavour, a soft texture and small flake with a crisped skin and plenty of sauce and greens too. 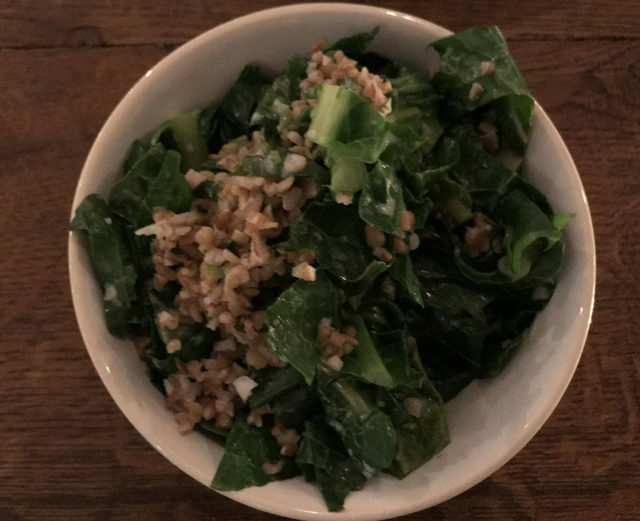 In fact, we really didn’t need a side dish, but we weren’t sure and had ordered some greens. This side was scrumptious and I could have just had this and been happy. I don’t quite know why, but combining the Cracked Wheat must have had something to do with it, and we polished off the lot. For dessert, we chose the Rice Pudding with rhubarb and Tarte Tatin. Both were mouth-watering, as you’d expect; it’s difficult to mess up a pud. 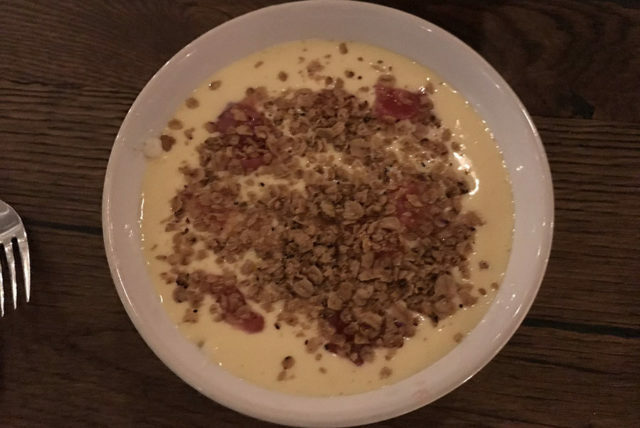 The Rice Pudding was creamy and the rhubarb was a really interesting twist to counter any over-sweetness. We couldn’t place the additional flavour in there at first (it reminded me of visits to India) and then we twigged that they had added a dash of Cardamom. Here is an interesting fact for you – Cardamom is the world’s third-most expensive spice, under Vanilla and Saffron. The waitress warned me that my choice was big enough to share, so I prepared myself to suffer. 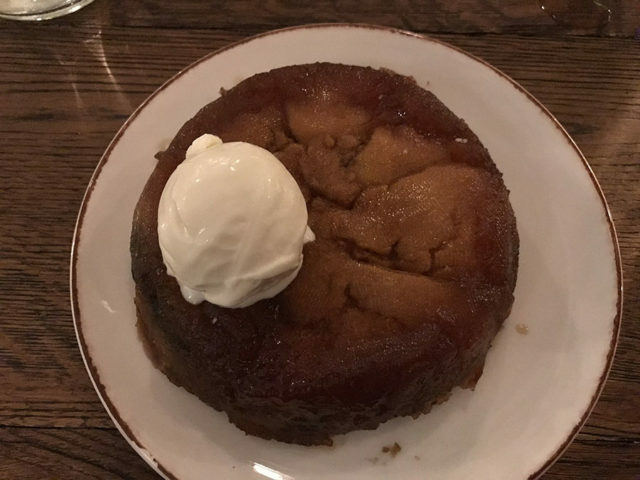 The Tarte Tatin was perfect, delicious, sweetness, stickiness and I’d eat it every day for every meal if I could. Like ‘Look Mum No Hands’ just up the road, this venue is a hip, modern place with eager staff and fresh ideas. 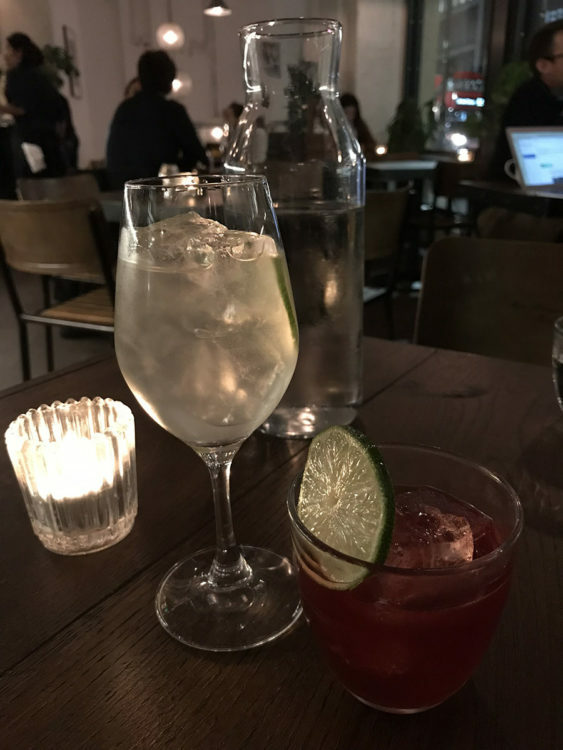 Fare Bar + Canteen offers an intense and innovative menu, boutique-select wines and cutting-edge mixology in an easy-going space which morphs efficiently and comfortably from breakfast to wine-bar every day like clockwork.